With our customers front in mind, every decision we make is necessary to build towards helping clients with their personal and beauty needs. We strive for excellence and customer service is our highest priority. e1 body & soul offers every client undivided attention to make you happy and beautiful. It is a warm and inviting salon. I will offer you numerous tips to keep your hair and nails healthy and looking great after you leave the salon. 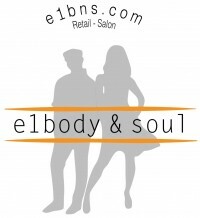 e1 body & soul was founded in 2004 and is Privately Held. We are no ordinary salon and are completely different from others. Each woman and man deserves to relax, look great, & feel Confident. Consultant for pricing always available prior to service. Prices are determined by length. We aim to provide the latest texture waves starting with the loop perm, spirals, color. Treating her to our hand and/or foot grooming is unlike any other on Earth! to see what the new u can do for you. Continue to use the best beauty and hair care products at home.